AT SkyFire Design specializes in providing affordable HTML5 or WordPress website designs for your businesses and organizations. It was our first service after all! Our website design services are fully inclusive. All our HTML sites include advanced CSS coding techniques to allow desktop and mobile ready designs, so that your business looks great regardless of device it's viewed on. Browse through our portfolio for examples of our past work. We can build a full fledged, feature rich website to encompass everything you're business offers, so that customers can find the information they need quickly in an attractive format. We can setup a WordPress website for your business so that you can make edits yourself later. 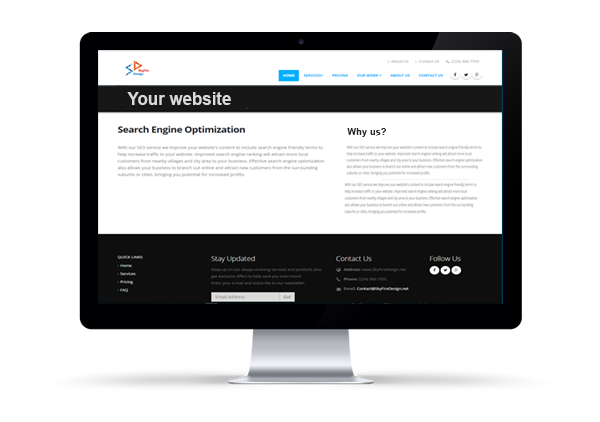 We can also update your existing website, such as new pages or just small edits like a new phone number or email.